I think this is one of those activities, you can always fall back to, when you’re out of fresh ideas or the weather suddenly takes a turn for the worse. 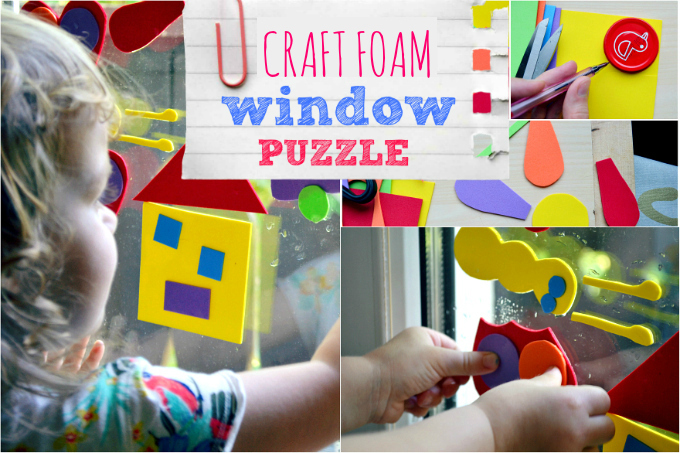 All you need to make your own little window puzzle is a few sheets of craft foam in different colors, scissors and some water. 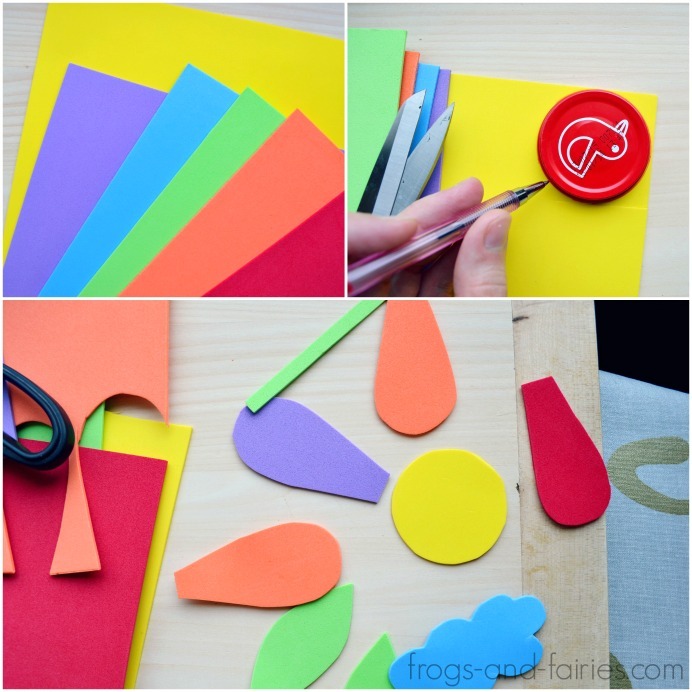 Cut the craft foam sheets into differently shaped pieces, that will form an interesting object. 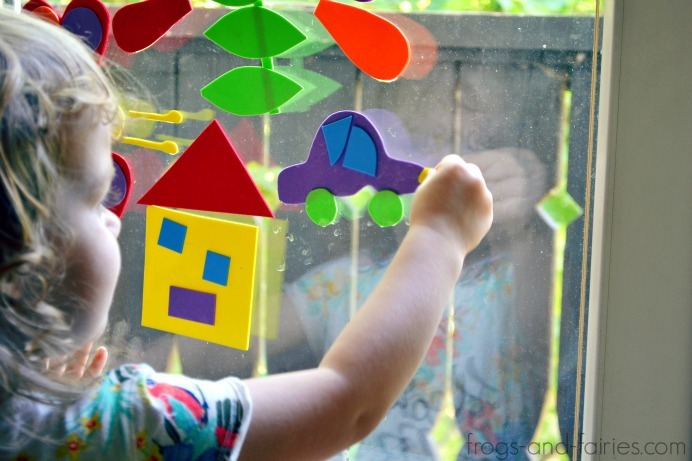 Before you can start adding the pieces on your windows, you’ll need to moisturize them first. We used a small cup of water and my daughter just soaked the pieces and started creating. 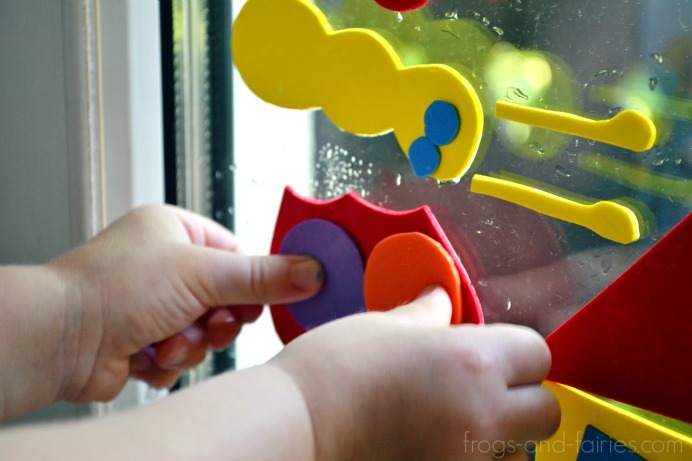 Moist craft foam will stick to glass surfaces very well and it’s probably going to stay there at least a day or until little fingers don’t move the pieces to a different spots. 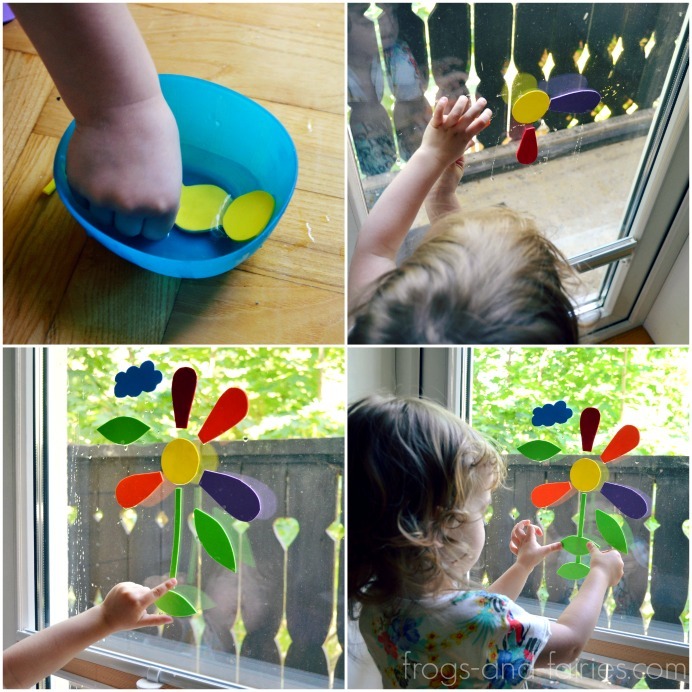 This is a great activity, that really brings out the child’s creativity. They can use the pieces you make to construct anything they want. So simple and super fun! adorable! A creative use of craft foam, and so colorful! Such a colourful masterpiece. I love that this activity can be used time and time again too. It also works if you spray water onto the window. Thank you! That’s a great idea, we’ll try that as well! I’m going to try this on a large white board today to see if it works! Thanks for the idea! Great idea! I think it should work, Amanda!